Yesterday I showed you the kitchen and today I want to show you the small bathroom project I was working on simultaneously. I’ve found that this is how I work best-I need something to do while I’m waiting for paint and caulk to dry! When I went to Lowe’s last week I picked up an 8 ft piece of pine. I could have gone with quarter round but I liked this squared off trim better. 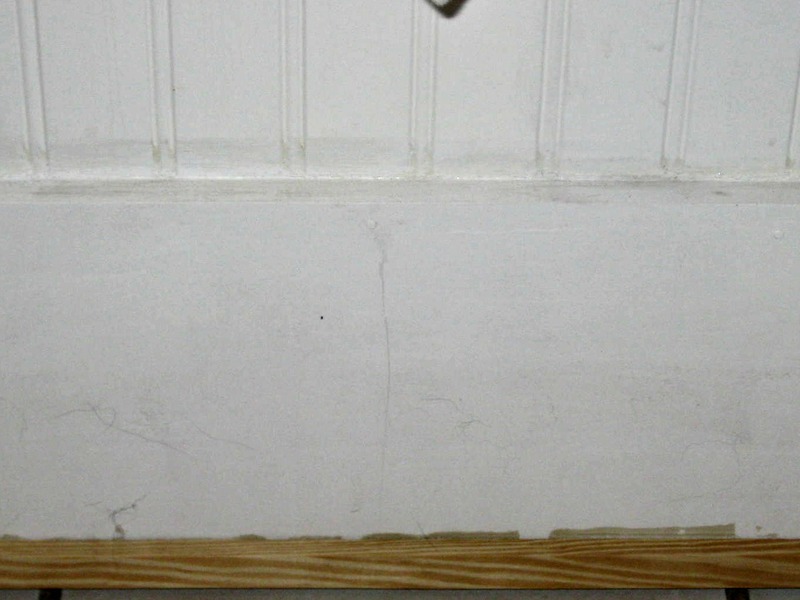 I was so excited to get the bead board up in here but it really drew attention to how uneven my floor was in there. Remember that gap? It’s gone now! 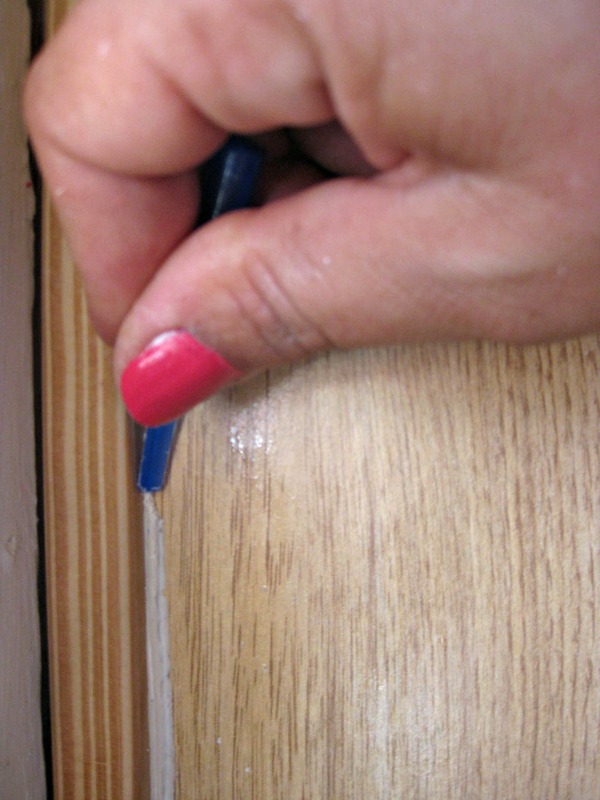 It went up with Liquid Nails just like the trim in the kitchen. 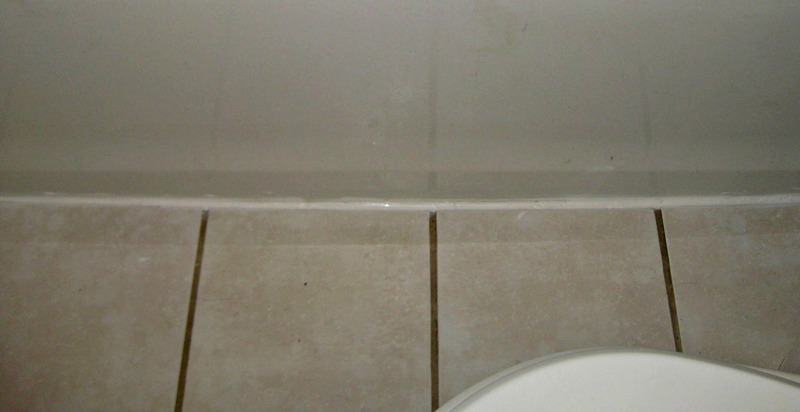 That’s a huge gap between the tile and the bathtub. 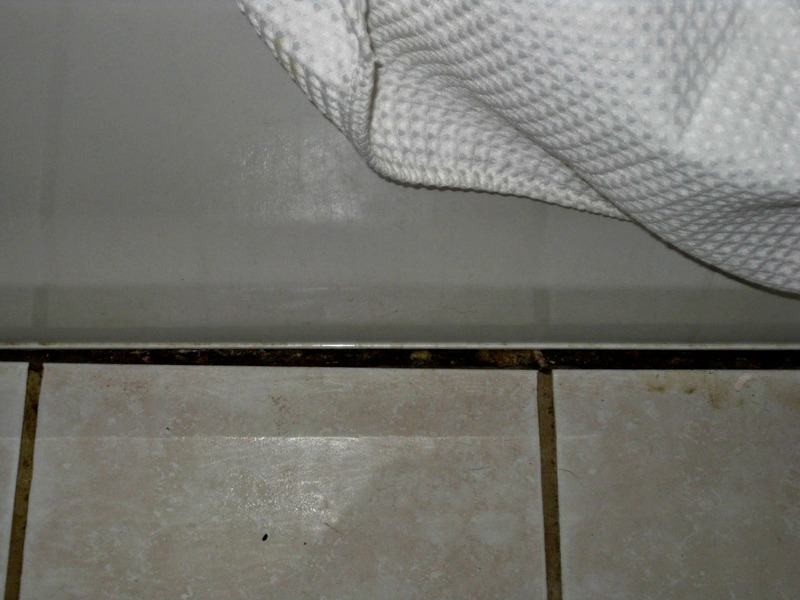 Every time I took a shower I pictured the boards under the tub slowly rotting away because any liquid on that floor would run right into this gap. This took A LOT of caulk. I think three layers. But now it’s clean and hopefully water tight. There are still a lot of problems in here. 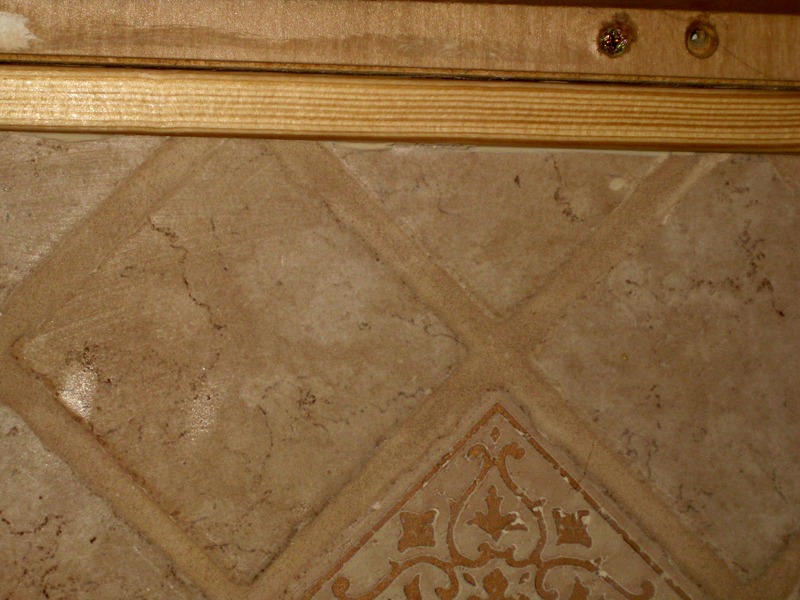 The sides and top edges of my surround aren’t finished and I really hate the tile on the floor in here. 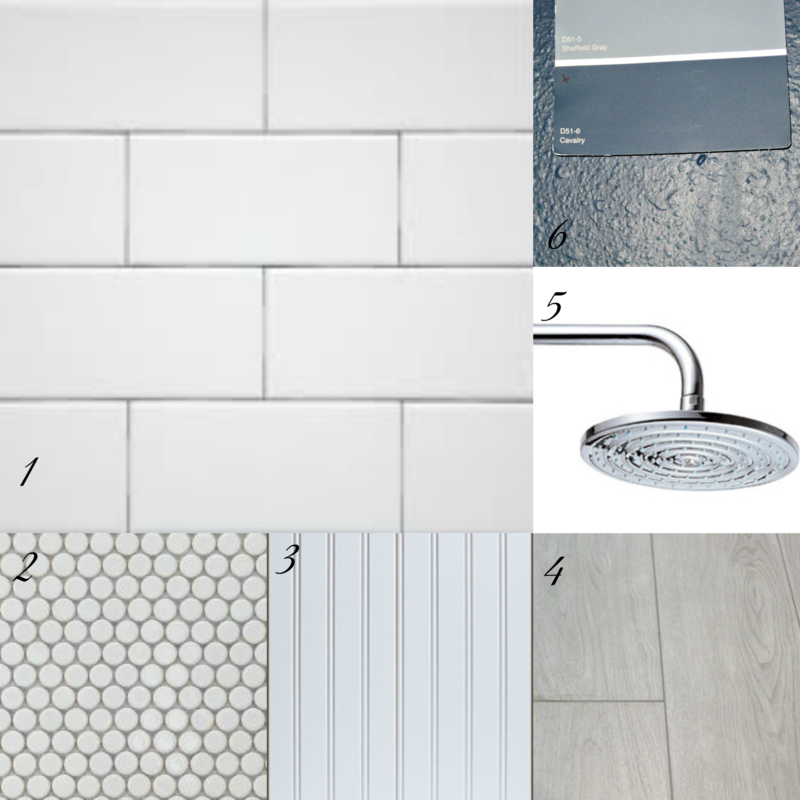 I had originally liked my shower surround-it was new and plain and would go with everything. It’s still neutral but a plumbing mishap resulted in this not being in new condition anymore. Plus I was struggling to find a solution for the weird couple of inches on the left side and the not wide enough to be a ledge in the shower. 5. I’ve been dreaming of a shower head like this for a year! 6. And of course, I’m keeping the same Calvary blue. 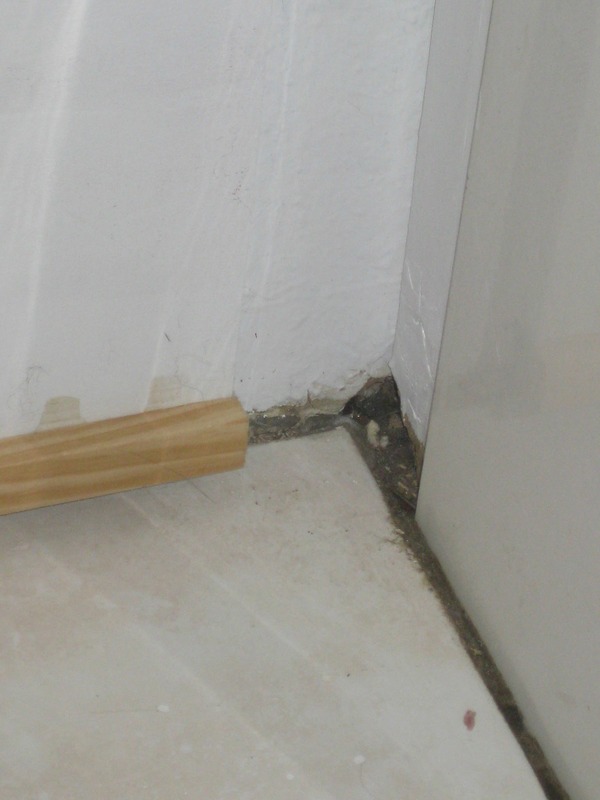 Good thing I have so much experience tiling! Okay, I have no experience but I’m confident that I can learn! I haven’t measured or priced anything out yet so there could be some tweaking depending on how difficult and expensive my choices are. Once my dad gets home from his vacation I’ll pick his brain to see if he thinks this is something I can pull off! I hit a few snags but as of right now, the trim is all up, the cracks have been caulked and the strip under the window is painted. Remember how it looked in the beginning? And then after Phase II? I didn’t clean up the Liquid Nails while it was wet. In fact, I didn’t clean it up until a week later which was a bad idea. Don’t do as I did. Those pretty pink nails? Gone. Before I settled on the pen cap being the best tool for this job I tried a razor blade (dangerous.) and a golf tee (splinters.) This pen cap and my own pretty pink nails scraped this off. Not easily, but it worked. 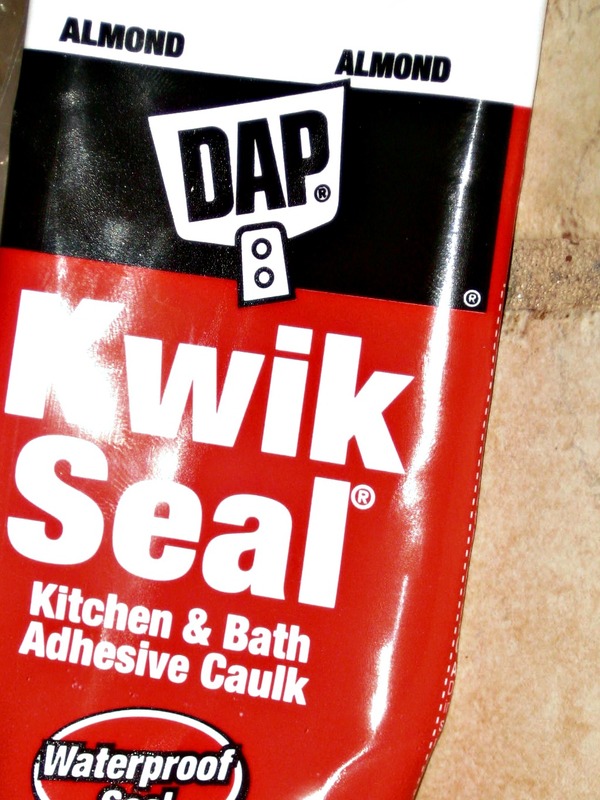 This toothpaste tube of caulk was awesome. I started out using one of those ratcheting gun things and it was awful. It was hard to get up under the cabinets and I felt like I was making a bigger mess. I got one in Almond and one in white and got the job done cleanly and easily. 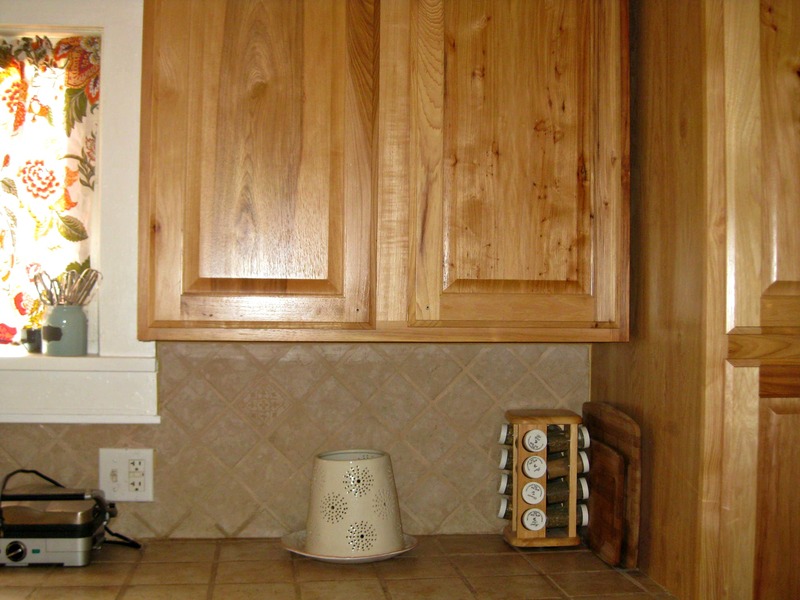 I used the almond caulk on cabinet side around every piece I wasn’t painting. 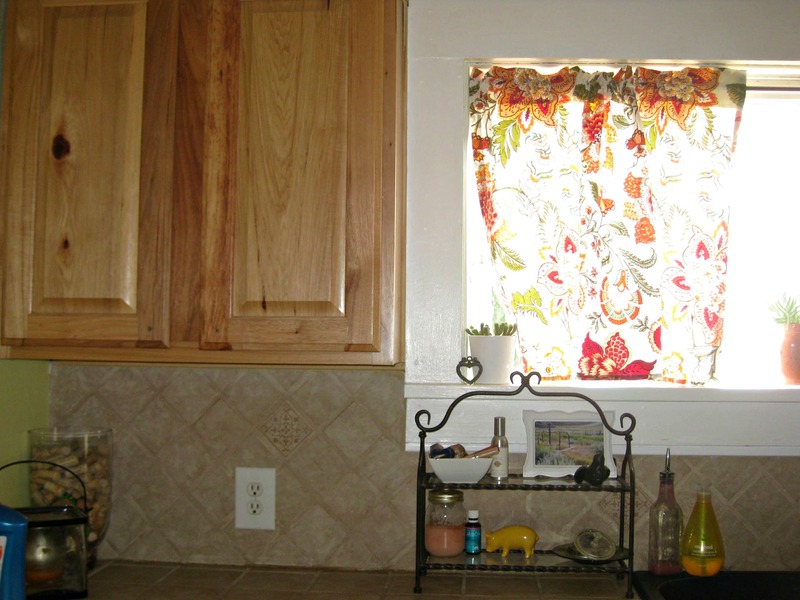 So around the window and under the cabinets. Then I used the white on everything around the window. 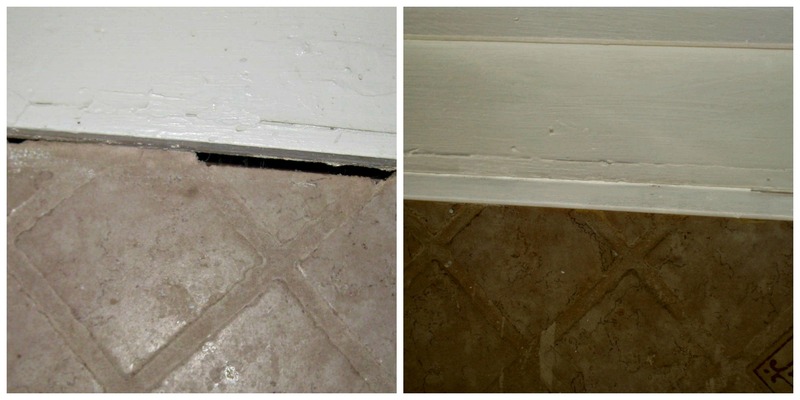 It’s amazing what a difference some caulk makes! I love how finished and clean it all looks now. 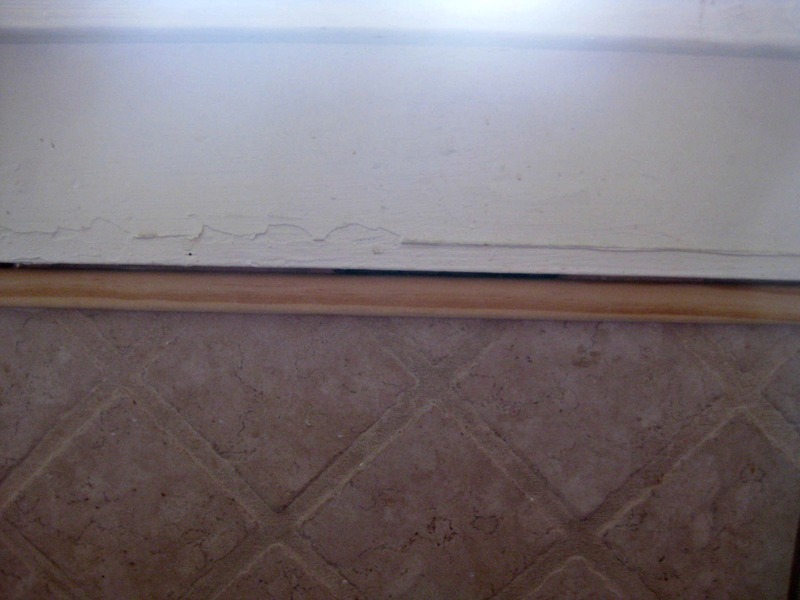 The gaps under the window were so deep I had to put on two layers of caulk. This is layer one. 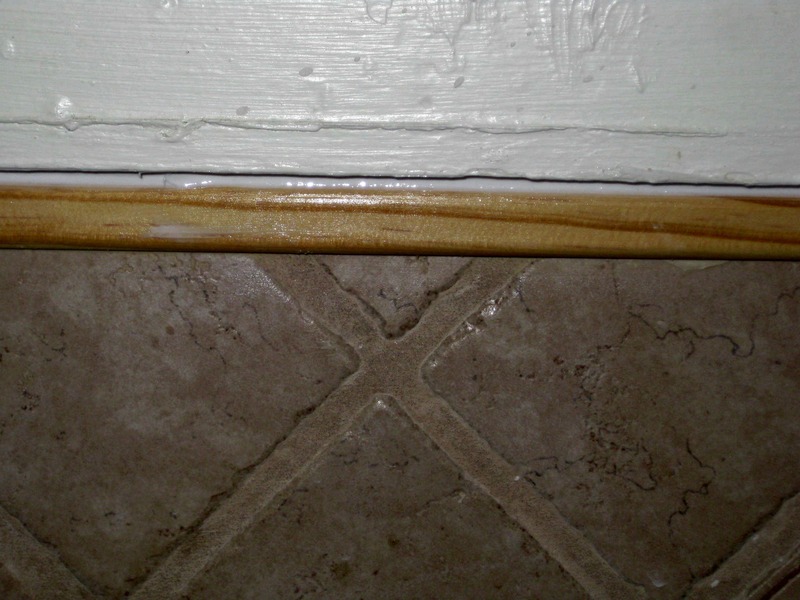 The tile side of this strip also got almond caulk. Once all the caulk was dry I got to painting that trim under the window. Snag two happened when I started painting with my white trim paint. 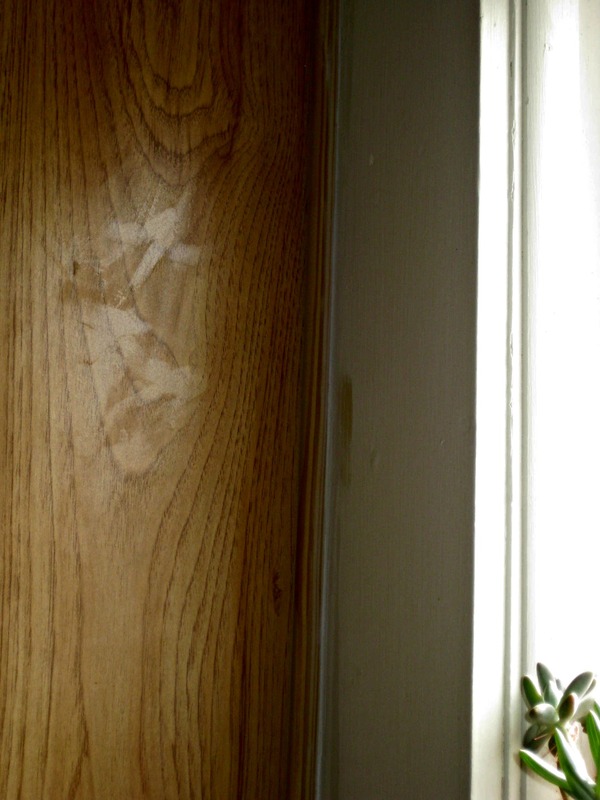 It was at this point that I remembered that we didn’t paint the trim in the kitchen when I moved in. It was already white and it good shape so we left it. Unfortunately, the new clean white paint made the old paint look, well, old. So all the trim around the window got a new coat of white paint. A whole lot of work that most people will probably never notice. Yikes! Remember that? How did I live with it for a whole year?? Looks like it’s always been there, right? The wheels for my island arrived today and the legs should be here tomorrow along with my new hardware! Basically I’ll be sitting by my door tapping my foot waiting for the UPS guy to show up so I can finish this baby up! It’s looking like it’ll be a big week for my kitchen this week! I’ve found a cabinet (something I already had!) for the island and my new hardware should be here any day. 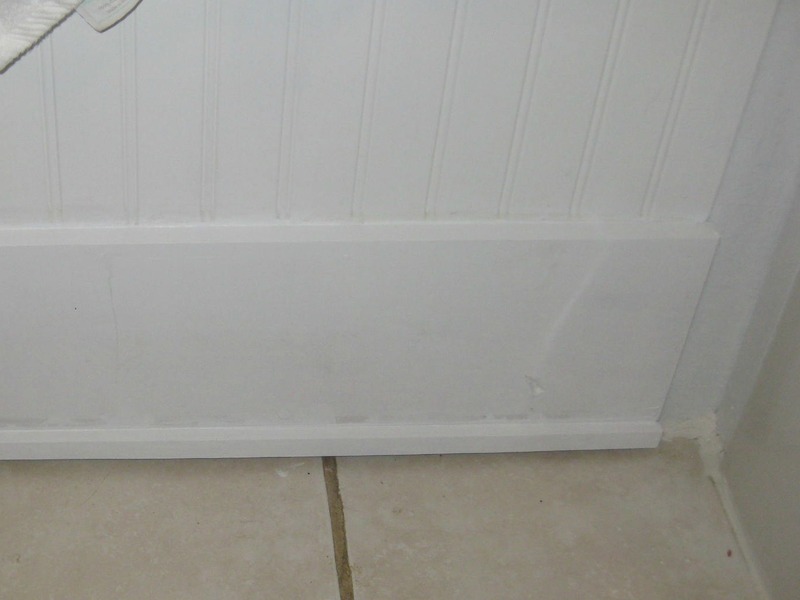 To start though, I put up the trim to cover the gaps around my window and under my cabinets. 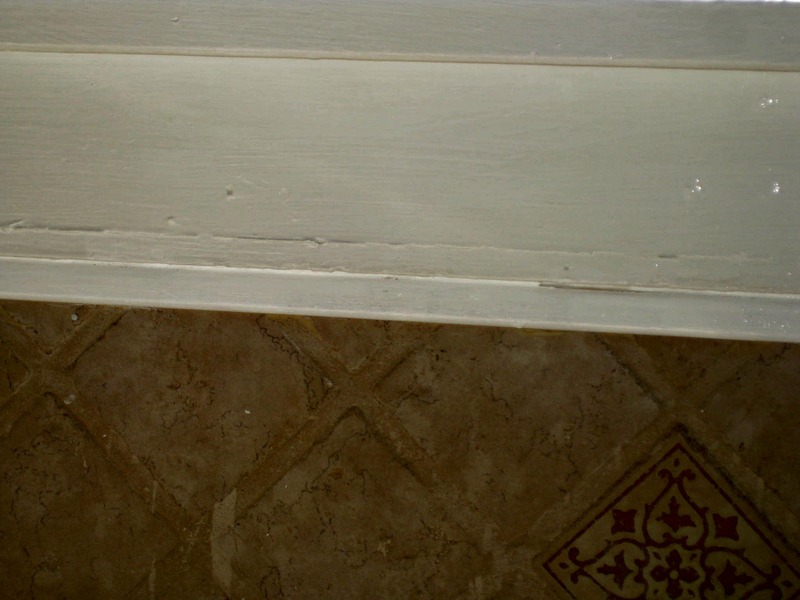 Obviously I still need to clean up and caulk around the new trim but after living with it a few days, I think I’m going to leave all the trim around the cabinets natural. 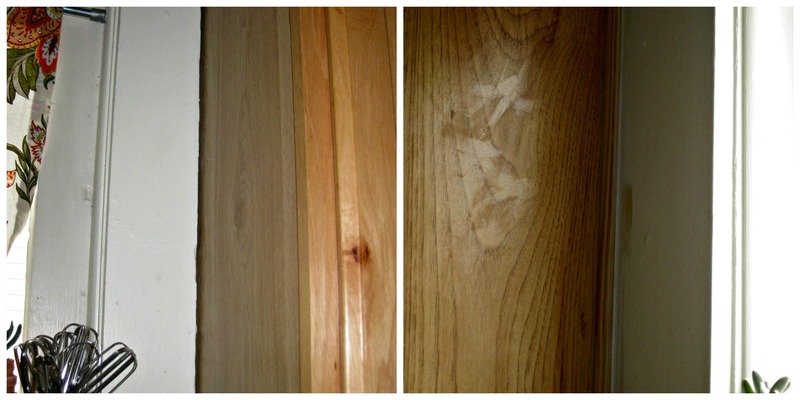 It’s not a perfect match to the cabinet finish but I think it’ll blend in better than white. 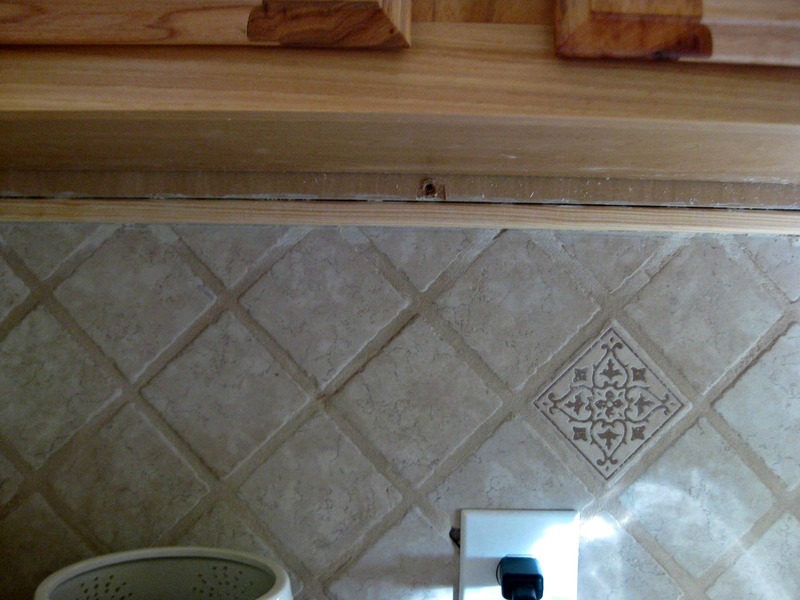 The trim under the cabinets really just disappears so I think some caulk will finish this off. 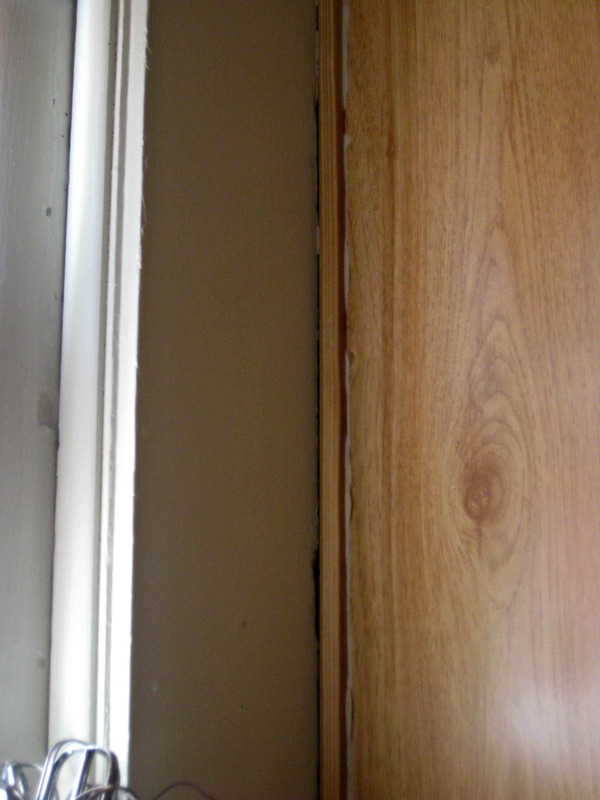 The trim under the window, however, will get painted white. Really, I should have painted it white before I put it up, but I didn’t so I’m thinking painting this little strip will be the most time consuming part of this whole project. 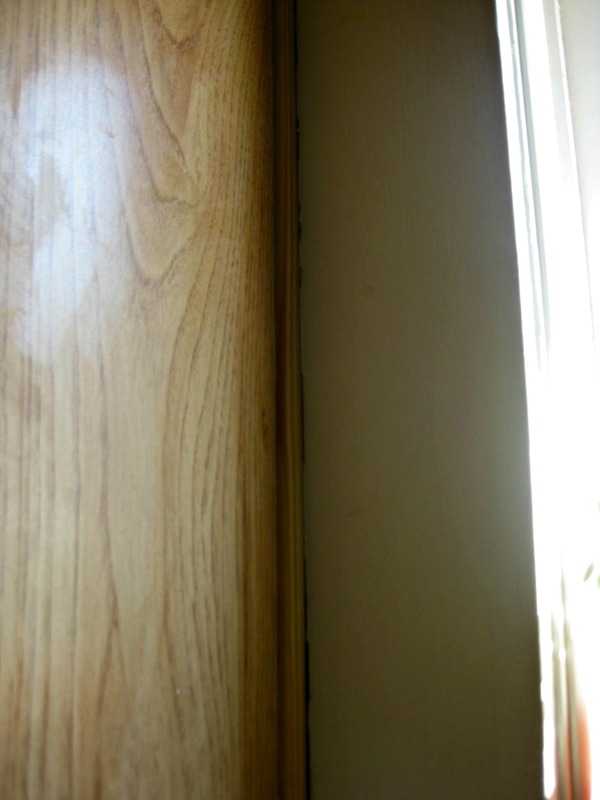 I have paintable white caulk for the trim under the window but I still need to find some for around the other trim. Clear? Tan? I haven’t decided yet but I’ll surely keep you updated!